YFM Live Streaming online from South Africa . It is a Youth radio station in Johannesburg, South Africa. Established in 1997, the station is formatted to mostly play urban music genres such as Kwaito, Hip Hop, and R&B along with a minority of its airtime being dedicated to talk shows. It is Gauteng’s leading youth radio station . It plays 80% of airtime to music and 20% to talk shows . It is South Africa's hottest brand catering to young adults that make urban culture happen. More than a radio station, it's a way of life. 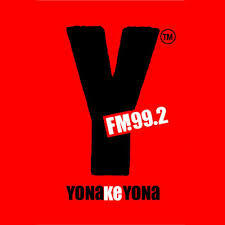 Hip-Hop, house, kwaito, and R&B form the core of YFM’s sound, with occasional rock or pop music thrown in.